People have relied on honey for cough relief for a long time. It was around way before commercial remedies were. Many might wonder today if it really relieves coughs. The following information looks into this more in-depth. Why Does Honey Help a Cough? Why honey for cough remedy works as it does no one knows for sure, but there are some theories on the subject. According to the book "The Honey Prescription: The Amazing Power of Honey as Medicine", one theory is that the honey's antioxidants might bring about some relief. Another one is that the thickness and sweetness of the honey could sooth a sore throat. Yet another theory states it believes the antimicrobial characteristics of the honey provides the relief. Even though plenty of lozenges are on the market, which spout they offer honey for cough suppressant effects, they only have a small amount of honey in each and just provide a tad of relief. A person will get a treatment that is more effective for a sore throat by using raw honey. Anyone should be wise enough though, to consult a doctor if this one of the natural remedies does not soothe the cough. There could be an underlying medical condition, which needs attention. Strep throat is one such condition and honey will not cure it. Most of the infections that bring on sore throats are viral and can only be helped a limited amount with antimicrobial agents from the doctor. However, the fact honey reduces the bacteria growth that causes infections in the throat is a proven fact. Researchers need to conduct more studies on how honey kills viruses. Is Honey Good for a Kid's Cough? The effectiveness and safety of kids' cough medicine has been a concern for parents in recent years. They have wondered how to provide suppressant relief to their children without harsh side effects. Luckily, a research team headed by Ian Paul from Penn State College of Medicine conducted a study in 2007 found that buckwheat honey provides a safe and effective treatment for coughs in children. This team found that a small dosage of the buckwheat honey at bedtime gave the children better suppressant effect than no treatment would or DM (dextromethorphan), which is an important ingredient in a number commercial cough remedies. It also helped the children sleep. The research appeared in the Archives of Pediatrics and Adolescent Medicine's December 2007 issue. These findings are important because in 2007 the FDA also stated the children's medicines containing DM could pose harm to children and recommended a ban for any child less than 6-years old. This will keep the child safe from potential problems the cough remedies containing DM could cause. In another study in 2004, the fact that diphenhydramine also found in cold syrup and other medications along with DM did not provide better relief than a placebo for cough at night or making sleep easier. Honey for the relief of cough on the other hand is effective in soothing a cough and considered safe for toddlers older than 12 months, kids and adults. The World Health Organization explains that honey starts soothing the throat as soon as it contacts it. In the 2007 study, the researchers used 105 children from 2-years old to 18-years old. (Toddlers under 2 should not be given honey because its microorganisms could cause stomach upset.) The children did not receive any treatment the first night. Parents provided answers to five questions on the sleep quality and the cough of their child. The next night, at random the children took no treatment, artificially honey-flavored DM or real honey for coughs approximately 30 minutes before bedtime. Parents then provided answers to the same questions the next morning. Even the research staff did not know who got what treatment. The results were that the parents reported the honey provided much better relief than no treatment or DM for their kid's cough and difficulty sleeping. There were some mild cases of hyperactivity reported with several of the children, other than that, no highly damaging side effects. This study had the backing of the National Honey Board. The pediatricians of Pennsylvania State University medical school conducted it. Paul stated, "Our study adds to the growing literature questioning the use of DM in children, but it also offers a legitimate and safe alternative for physicians and parents. Additional studies should certainly be considered, but we hope that medical professionals will consider the positive potential of honey as a treatment given the lack of proven efficacy, expense, and potential for adverse effects associated with the use of DM." Researchers analyzed all results from clinical trials for a 2010 report for the Cochrane Database of Systematic Reviews to compare the effects of no treatment, OTC medications, and placebo on coughs in kids. There was only one trial that fit all this criteria, it is one that looked at 108 children that had cough and sleep issues because of infections in their upper respiratory tracts. The results proved that honey reduces the frequencies and improves quality of sleep more but did not reduce how severe the cough was. Researchers also discovered the honey and dextromethorphan showed about the same effect on coughs along with sleep quality. The authors of this review concluded that because of the trial's findings there is not enough proof to recommend honey as a cough medicine or discourage it for relief. However, a review that came out in 2009 offered a different conclusion. Those researchers stated that honey could slightly decrease the severity and frequency of a cough when caused by an infection of the upper respiratory tract. Why is All the Research Important? Coughing is one of the main reasons why people seek outpatient treatment in the United States. Night coughing is the worst for it interrupts sleep. People spend quite a bit of money each year on OTC cold and cough medications that have little results. This is why it is important to research further into honey as a cough treatment. Should You Turn to Honey for Cough Relief for Your Family? Even though the scientific proof is not ironclad, on honey being effective for cough relief, it does provide some type of relief for them without harmful side effects. It is certainly safer for children than the syrups containing DM. the National Institutes of Health also suggest using a vaporizer and drinking water for cough relief. Other natural remedies like mullein and marshmallow also exist for cough relief that you can try. What Kind of Honey is Best for Coughs? Honey as cough suppressant is excellent for older toddlers and adults, but some honeys are better than other ones. Typically, the darker honeys contain more antioxidants, vitamins and minerals than their lighter counterparts do. Avocado and buckwheat honeys are prime examples of this. If you cannot locate these near you, buy the darkest of the honey sold locally. How Much Honey is the Right Dosage for a Child? The right dosage is important when trying to provide treatment for a child's cold. The right dose is 1/2 teaspoon of dark honey for each 25 pounds of the child's weight. The children should receive this dose about 4 or 5 times daily until the cough is gone. If the coughing fit is severe, administer the honey after it quiets somewhat. Remember, toddlers under 2 years of age should not have honey. At times, kids are allergic to honey, so with a first dose a parent needs to watch for signs. These could include lethargy, hives or swelling. Contact the doctor immediately if these signs appear. The doctor should see a child with a sore throat for more than a few days. The benefits of using honey as a remedy for cough include less negative side effects, safe for the whole family, and it is less expensive. Commercial cough syrup can cost quite a bit of money, especially when different ones are needed for adults and kids. 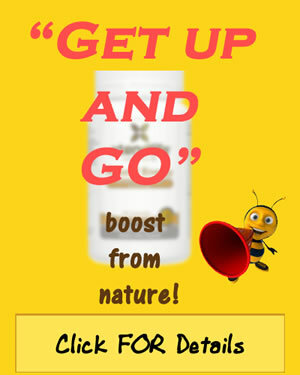 Honey provides you an inexpensive alternative that the whole family can use. Cough drops come in many brands, shapes, and flavors today. They have limited effect on the actual cough since most contain artificial ingredients. Not everyone likes all the additives in commercial cough drops such as artificial dyes and menthol. I know I prefer homemade cough drops made with just honey. There is a good recipe at www.littlehouseinthesuburbs.com for making these cough drops. The honey should boil without burning until it gets to 300 to 310 degrees Fahrenheit. A candy thermometer helps to pinpoint this temperature. Then drop some of the hot honey into ice water to see if it balls. Grease a sheet or plate liberally. Drop small amounts of the hot honey onto it. Let it sit at room temperature until it is completely cool. Now the honey drops will last longer in the throat than using just liquid honey for cough suppression. The website above gives a more detailed explanation of the process. Lemon and honey makes an excellent cough syrup. Lemon alkalizes the body quickly once swallowed. This sets up the perfect environment for the honey to kill the bacteria. These two ingredients make for an ideal cough syrup. It is also easy to make this syrup of lemon and honey for cough remedy right at home. Any fresh lemon will work for the recipe below, and remember the darker honey is the best to use to soothe sore throats. Place 2 cups of dark honey in a pot and place over low heat. The honey should not come to a boil. In another pot, place some water and a whole lemon and boil for 2 to 3 minutes to remove any bacteria on the skin and this will also help the lemon to soften. The lemon should cool enough to be sliced. Lemon slices are added to the honey on the stove. This mixture cooks for about 60 minutes over low heat. Strain the mixture to make sure any seeds are removed. The mixture needs to cool before being placed into a glass jar that has a lid. The cough syrup stores in the refrigerator and will last for about 2 months. The dosage on this syrup would be a 1/2 teaspoon for a child weighing 25 pounds. A child weighing 50 pounds would take 1 teaspoon. The child should take this 4 times each day or as needed. Adults can take a full tablespoon just as often. Children do not need to suffer ill effects from medications. It is important for you as parents to protect them. Try honey for cough relief the next time your child has a cough and see if it helps soothe it. If it does not, remember to check with the doctor for further analysis of the problem.